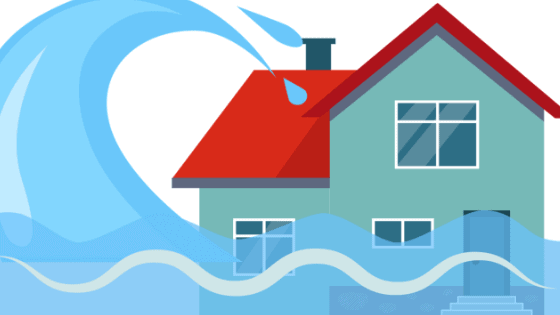 Would you know what to do if emergency water damage like a burst pipe or heavy rain intrusion happened at your property? Chances are you don’t have a disaster preparedness plan ready. We believe it is our responsibility to educate our community about how to protect themselves and their properties. That includes informing our customers about the water damage restoration process so they know what to expect from a professional water damage expert. Because we take our responsibility to you seriously, we also want our community to know what to do before we arrive at the job. Certified Restoration is your partner when water damage strikes and we want you to have the right information so you can help us mitigate the damage before we arrive. 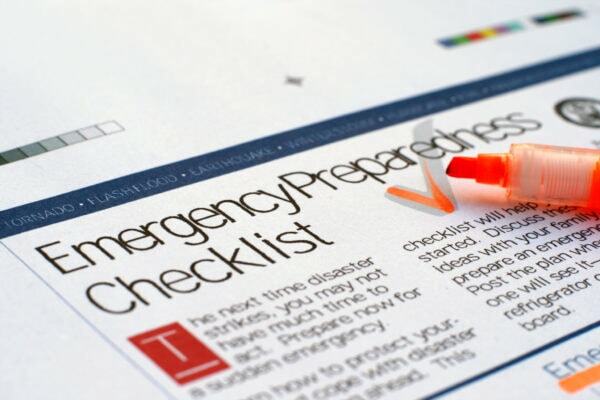 What should you have in a disaster management plan? Contact information for parties you need to involve. Where to locate and how to turn off natural gas. Where to locate your emergency water shut off valve. Information about how to shut off fire sprinklers. Know the safety features of your property & where to locate them. The first part of disaster preparedness is knowing who to call and how to reach them before an emergency or disaster happens. The obvious contact to have on hand is your insurance agent, but they won’t be much help in mitigating damage. Your obligation to them is to do your part in preventing more damage from happening when a pipe bursts. Therefore, you’ll need to know who to call to satisfy your insurance agent. Which Contacts Do You Need When You Need Help? Need A Water Damage Expert? Certified Restoration is a top-rated water damage restoration expert in San Diego. The best way to prevent more damage to your property when a water disaster happens is to stop the flow of water to your property. You’ll need to knowif your water damage is caused by an interior leak or exterior leak. Hence knowing how to turn off the water at the source from the appropriate valve is critical. How do I know if I have an interior or exterior water leak? You know there is a leak because you have seen or heard the signs. Don’t know where it is coming from? Your first clue about the source of your leak will be to look at the activity of your water meter. If the meter stops moving when you turn off the main water valve for your property, the leak is inside. Check for low water pressure in faucets and listen for sounds of running water to find where the leak is in the interior pipes. If the meter continues to run, it is an exterior leak and you’ll need to cut the water supply from the water main. How do I shut off water in an emergency? How and where you shut your water off when you have a water damage emergency will depend on the source of the water intrusion. Step 1: Locate the water shut off at the internal source (typically found next to the water heater, faucets & fixtures, and on the unit/home’s meter). Step 2: Once you have located the valve, turn it clockwise (right). Step 1: Locate the main water meter (typically installed inside concrete boxes near the street). Step 2: Once you have located the main water meter, turn the valve clockwise (right) to turn off the water supply. Some water meters will require you to use tools in order to turn the water shut off valve. Can You Shut Off Your Fire Sprinklers Without the Fire Department? The short answer is, yes. However, this should only take place if there is no fire in the building and only one or two sprinklers have been activated. If your sprinklers have been activated, have the number of your fire sprinkler company and the fire department on hand. In order to shut off the fire sprinkler to mitigate water damage, you will need a sprinkler stopper tool or a wedge. Use a stopper tool to stop the flow of water from the sprinkler head. Place stopper over the sprinkler and engage. What this does is it holds a watertight seal that mitigates any more damage inside your property. Turn water off to the building – this is done from the building water main. Then contact your sprinkler service provider. Where Do I Shut Off Natural Gas in an Emergency? Similar to water damage, you may need to know where to find your natural gas shut off in an emergency. Where do you find the shut-off valve for natural gas? What type of natural gas meter do you have? Do you need tools to turn off your natural gas? These are all great questions, but they shouldn’t be questions that you ask yourself during an emergency. The best way to find out the type of natural gas meter that is on your property is to call your gas company. They will be able to help you locate the meter and instruct you on how to turn it off, in the case of an emergency. Shutting off your natural gas from the meter is not as intimidating as it may seem. Knowing the type and location of the natural gas meter is the biggest hurdle to the process. Are you overlooking any key safety features of your building? Above all, if this is multi-resident property or association, make sure all residents know where to locate these safety features and what to do in case they need to use them. You should be able to find where these features are located on your property and the type of feature installed by looking ar floorplans and building blueprints. A disaster is never a good time to learn how to do something in your home. The best line of defense is having the knowledge before a disaster strikes to empower you to act fast and mitigate further damage. Certified Restoration has more than 20 years experience in water damage restoration services. Download our FREE disaster management plan. It will allow you to keep all contacts, locations, and procedures in one place. This is your property’s biggest asset in case of an emergency. What is your disaster management plan missing?